What Should You Really Know as a New Caregiver? ← What Can You Talk to Your Friends about Besides Caregiving? Elder Care Collierville TN – What Should You Really Know as a New Caregiver? When you’re just getting started as a caregiver for your elder loved one, you’re not even sure what you don’t know yet. And there is so much to learn. These few tips can help you to get a solid foundation under you so that you can have a smoother caregiving journey. In the past, you may not have had all that many boundaries with your elder loved one and you might not have needed them. Now, however, as her family caregiver, you need some boundaries. These are a healthy mental line for you to establish. They help you to determine what you can accept and do and what you cannot. It also allows you and your elder loved one to maintain respect and dignity in your dealings with each other. No matter what you expect from caregiving, it’s going to be different. You’re going to need to adjust your boundaries, your schedule is going to go haywire, and your health might take a dive. You’re going to need to be able to manage all of these changes in stride, so maintaining some flexibility is incredibly important. At first, you might think that you can do everything on your own. You might even be right, to a certain extent. Depending on your elder loved one’s health, you may not have as many needs as you will later. However, the sooner you get into the habit of seeking and accepting help, the better. Talk to friends and family about pitching in and start working with elder care providers to get as much help as you can. As a new caregiver, meeting and talking with other family caregivers, particularly ones with a great deal of experience, can be extremely valuable. Join a support group or two, either in person, online, or a mix. These groups allow you to interact with people who are dealing with the same situations you are. You’ll learn an incredible amount about caregiving and it will help you to deal with the changes that are coming. As you continue in your caregiving journey, you’ll learn more and more. 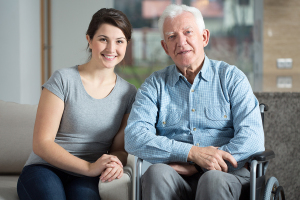 For Elder Care Services in Collierville TN, please contact the caring staff at Personal Care Services MidSouth today! This entry was posted in Elder Care Collierville TN, Personal Care Tips and tagged Elder Care Collierville TN. Bookmark the permalink.